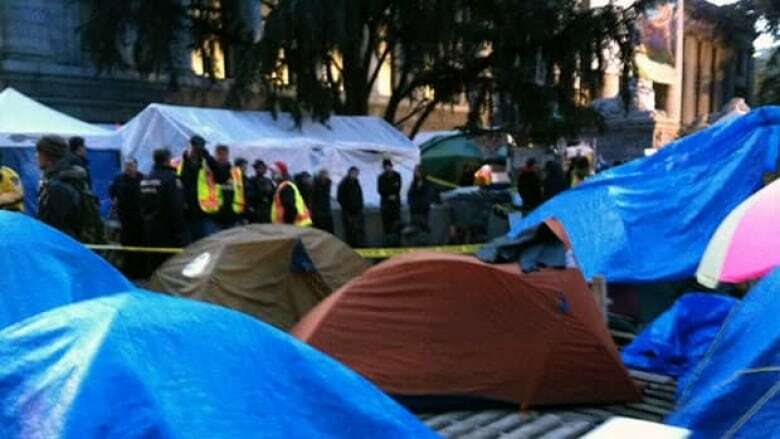 The death of a woman taking part in the Occupy Vancouver protest at the city's art gallery has led the city's mayor to announce the protest movement's tent city will be cleared. 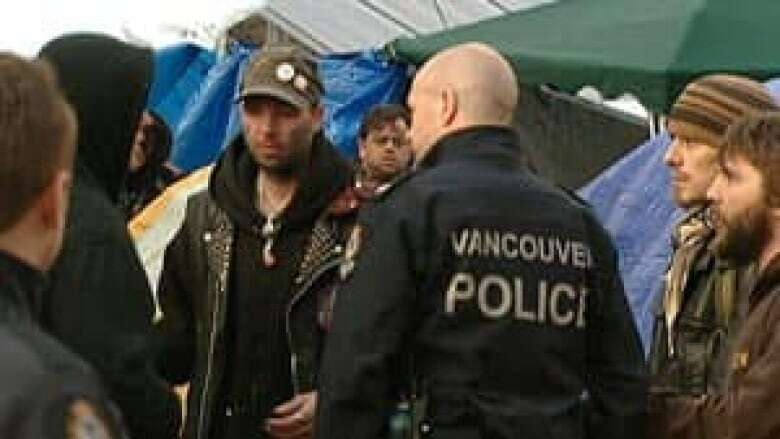 "I have directed the city manager to expedite the appropriate steps to end the encampment as soon as possible with a safe resolution being absolutely critical to that," Mayor Gregor Robertson said Saturday night. Police said a woman in her 20s was found unresponsive inside a tent at the encampment at about 4:30 p.m. PT Saturday. "Tragically, she could not be revived," Vancouver police Const. Jana McGuinness told reporters. "She was transported to hospital and pronounced deceased at hospital." Do you agree with the city's decision to clear the camp? Police said the cause of death has not been determined and would not confirm reports the woman died of a drug overdose. However, Lauren Gill, an organizer at the camp, said that was apparently the case. She said the death highlights the need for more addiction services because drugs are such a big issue in the city. Gill, who is running as an independent in this month's city elections, said that as an outreach worker in mental health and addiction services, she has seen far too many overdose deaths. Protesters listening to the mayor's announcement yelled their disagreement, and accused Robertson of using the woman's death for political purposes. "Shutting down the encampment will not alleviate the heroin epidemic that's going on in this city," one of the protesters said. "We need people to pay attention to this fact. We need funding, we need help." A section of the tent city near the corner of Howe and Georgia streets was roped off and about a dozen police and fire officials were on scene, the CBC's Chad Pawson reported from the scene on Saturday afternoon. He reported about a dozen people were visibly upset, crying and hugging each other, and being very hostile towards the media. The death comes after a protester was treated for a drug overdose at the encampment on Thursday and amid concern by Vancouver's fire department about the conditions at the Occupy camp. The protest movement has also become a key issue in the Nov. 19 civic election in Vancouver, with Robertson facing criticism for allowing the tent city to continue. On Friday, the mayor said authorities could be forced to remove occupiers and bring down the tent city, but said he is still hopeful a peaceful solution could be reached. Robertson has taken heat from rival Non-Partisan Association mayoral candidate Suzanne Anton, who has called on the mayor to act quickly to break up the protest. On Saturday, Anton issued a news release expressing her sadness at the woman's death and reiterated her call that the encampment be shut down. "This is a very sad event," Anton wrote. 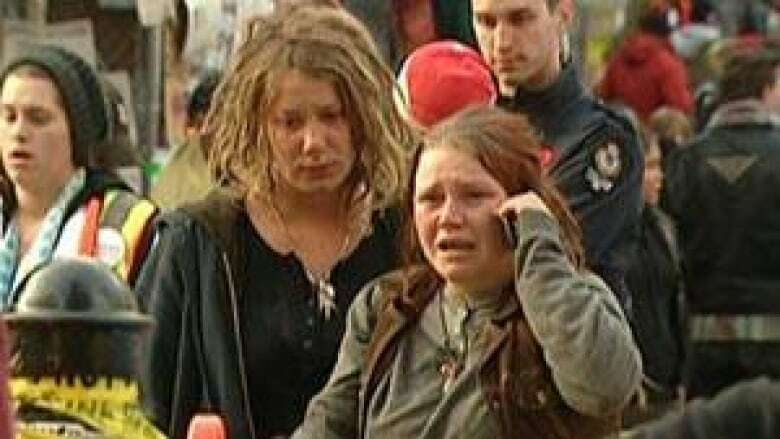 "My thoughts are with the family of this young woman and with the Occupy Vancouver community." Referring to the tent city, Anton concluded: "It is time for the tents to be taken down." POV. : Will the Occupy movement survive without its camps?